The film chronicles a few months in the life of Pinchas Cohen-Gan – one of Israel’s greatest artists. In recent years, Cohen-Gan’s art has expressed his obsession with Nazi Germany. This has drawn some criticism: what is a Moroccan doing dealing with the Holocaust? But throughout his lifetime, Cohen-Gan has been drawn again and again to this subject. 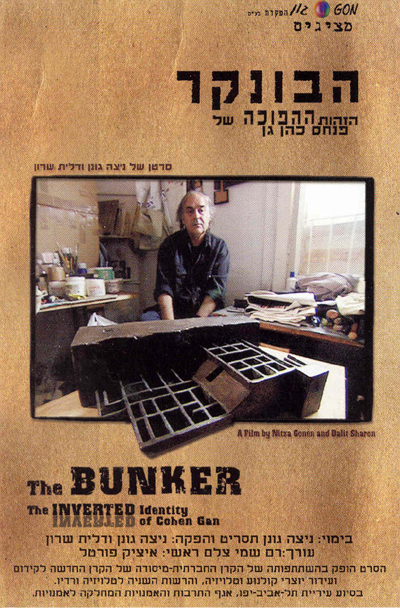 He gave up a brilliant career in New York and returned to Israel to create his works out of his own “bunker”. In order to explore his place in Israeli society as a “Moroccan refugee”, Cohen-Gan is working on a piece which will be exhibited at the site of Hitler’s bunker in Berlin. From this point on, the audience is aware of certain tensions in the film - Will Cohen-Gan manage to sabotage his own trip to Berlin? Will his charismatic and contradictory personality interfere with his other artistic projects? Especially created computer game-like animation is interwoven throughout the film, mirroring the conceptual artwork that Cohen-Gan has created all over the world.